With less than two weeks until my departure, I have been reflecting on what I hope to accomplish. The big picture of this adventure is to teach English abroad. From Spain to Africa to Asia and maybe back around to Latin America. As my adventure takes new paths, this list will continue to grow and be checked off. A lot of the goals and adventures for Europe/Spain will be contingent on finding a way to stay longer than 90 days. For those who are unfamiliar with EU travel, an American can only remain in the EU for 90 consecutive days within a 180 day period without a visa. I was unable to secure a job through a program to go on a student visa which would allow me to stay longer than 90 days. This is a typical route Americans take to teach English in Spain to bypass the 90-day rule. I will need to figure something out once I arrive to work 1. legally and 2. longer than 90 days. Don't worry I have a few tricks up my sleeves. And I am feeling confident I will make this work. More on that topic later. So here it goes. Walk the Camino de Santiago-It will be a replacement athletic event for Iron Phi. Those who don’t know, I was training for an 8-hour Tough Mudder last year while raising $1,000 towards ALS. Long story short, I'm still a few hundred dollars short, and the original event was rained out. Then I stopped training for the rescheduled race for a few complicated reasons. The Camino de Santiago is a month-long pilgrimage from French-Spanish border to Finisterre, located on the tip of Spain near Portugal. For safety and weather reasons Spring or Summer are the best times to do it. Also, I will hopefully be teaching, and the summer will be vacation time. Plus that doesn't sound too pleasant in the rain or snow. Celebrate festival de San Martín in Pamplona- AKA "The Running of the Bulls." Since this is an iconic festival around the world, it requires advanced preparation. Made famous by Earnest Hemingways book, The Sun Also Rises, The Running of the Bulls is a once in a lifetime experience. Or not for those who go year after year. I've already started preparing for this event and put a refundable deposit for a tent at a festival campground. Hostelworld coming in clutch once again. Click on the hostelworld link if you want to come visit and check this off your bucket list as well. Camping will be the cheapest way to stay near the city. It should be a blast. No pun intended. (The release of the bulls begins with the blast of a canon in the main square.) Hopefully, I will find a legal way to stay in Spain until July when the event occurs, and I can attend. I took this photo back when USAC took us to Pamplona. After visiting the first time, I knew I would have to come back for the real thing. Caminito Del Rey-AKA the "The Kings Little Path" in Málaga, Spain. It used to be Spain's most dangerous hikes. Recently the government made improvements to the infrastructure of the trail and now it is much safer to hike. Like the Camino de Santiago, this bucket lister will have to happen in the Spring with warmer weather. Become fluent in Spanish and learn more Basque- I have been learning Spanish on and off since 8th grade, and unfortunately, I'm still not fluent. I would say I'm conversational but still a bit rusty since my last trip to Spain. I also hope to learn more Euskadi (Basque). 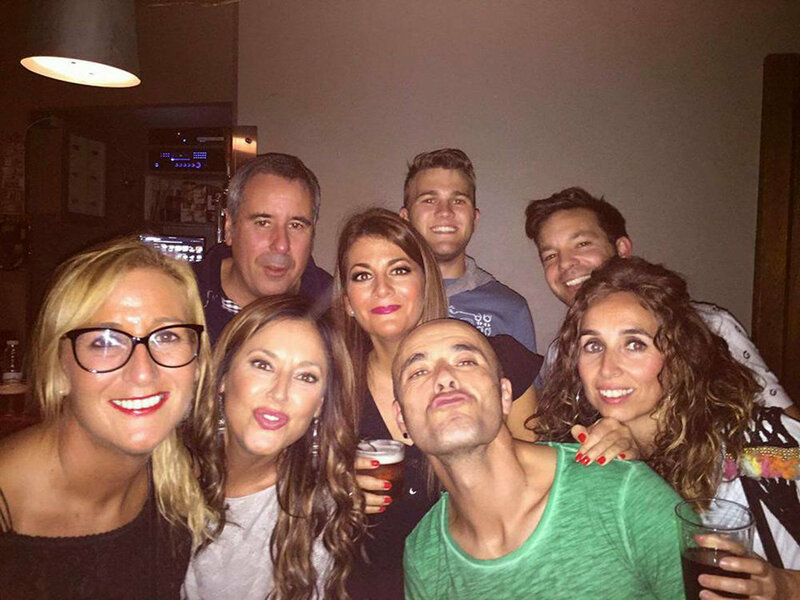 Currently, I only know a few basic words like eskerrik asko (thank you), agur (bye), kaixo (hello), Zorionak (happy birthday). Go cliff diving-because why the hell not. Visit the Swiss Alps- again why the hell not. Northern Lights-no explanation is necessary. Fly into New Castle International in England to visit the airport created by my Great Uncle Jim Denyer. From there I want to train to London and end in Brighton, where my father grew up. I have always been fascinated by my family's history; hence all the family stops. Talk with a stranger at least once a week-This is a great way to practice conversation skills and meet locals. On my last trip to Spain, I made this a daily goal, but sometimes it was more of a weekly goal. A few times it turned into experiences and friendships. All that started with a basic question or a simple hello. Visit or work on every continent before I turn 30. 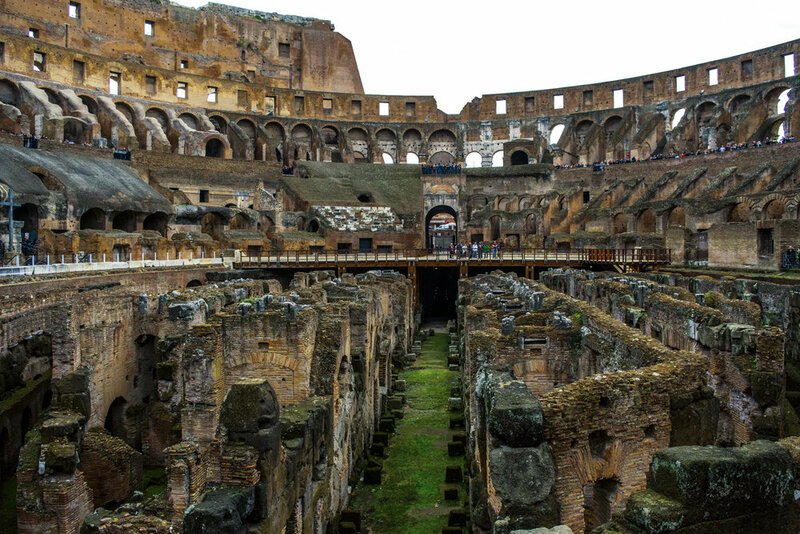 Go to all the Seven Wonders of the World-The Colosseum is already scratched off this list. Only six more to go! Work on a farm with WWOOF-WWOOF aka Worldwide Opportunities on Organic Farms is a company that places people to work on a farm in exchange for room and board. This could be a fun and interesting opportunity to do during the summer months or between contracts. Get paid for a photo gig- always work the side hustle.